So your singing monkey video went viral – now, where’s the money? – CHUBIBO! So your singing monkey video went viral – now, where’s the money? With so much media distraction vying for consumer attention, breakout content is everyone’s goal. 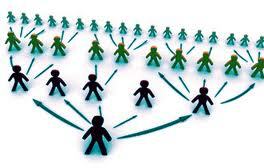 But the truth is that the economics of virality aren’t always kind to those who create it. Take Marilyn Hagerty and the North Dakota newspaper that publishes her restaurant column, the Grand Forks Herald. You probably know by now that her polite Olive Garden review garnered well over 1 million page views after Gawker picked it up and turned the 85-year-old critic into a minor and wholly unforeseen celebrity. In addition to countless blog mentions, tweets and Facebook posts, Ms. Hagerty earned a visit to New York to appear on Anderson Cooper’s “Anderson,” “Piers Morgan Tonight” and other TV shows. Yet Marilyn Mania hasn’t scored a big revenue hit for the newspaper owned by Forum Communications. 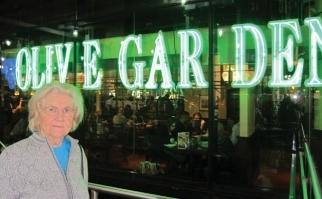 Marilyn Hagerty’s Olive Garden review caused a viral stir. After the dust settled, Paul Amundson, Forum’s VP-interactive, said that no direct ad deals resulted from Ms. Hagerty’s breakout performance, writing in an email, “The boost in traffic was essentially a boost in dollars from the ad networks.” The Forum and Herald team also made other resourceful attempts to monetize, but T-shirts and e-books aren’t going to make anyone rich. As of Thursday night, 62 e-books at 99 cents apiece had sold. About 150 shirts had moved, but a chunk of the $20 price tag goes to charity. There is a strong sense that something is missing from the online-ad ecosystem, namely a service that allows national advertisers to take advantage of these tough-to-predict spikes in traffic and attention. This problem is a known one. In 2009, a Wichita Eagle story about a kid who caught a mistake on a test got more than 3 million views in an afternoon for Kansas.com after being linked by Yahoo. According to an editor at the paper quoted by Nieman Journalism Lab, the extra traffic ended up netting only “a few thousand dollars.” Blame remnant advertising and its often low rates. A very different challenge comes with managing the immense flows of traffic that come from a runaway hit, as in the case of Invisible Children’s “Kony 2012,” the controversial video that has racked up more than 100 million views and become the most viral of viral videos. The campaign calling for the arrest of Joseph Kony, a war criminal and kidnapper, hit its traffic goals for the year in a single day, dominated chatter on the internet for a few news cycles, and was a hit from both an awareness and audience point of view. But there were tough moments along the way, especially in hosting all those visitors and managing the various systems, from back-end databases to the donation and sharing services that made it all come together. “Kony 2012” was initially posted to Vimeo and then YouTube, where traffic picked up and sent millions to the site built by Invisible Children and its partners. Its host, Rackspace, shut it down, thinking it was a denial-of-service attack. And Facebook, which has its own usage limits, choked off the sharing for a while. Previous postHey, San Miguel, stop uglifying EDSA! Next postAkala natin “fixer” – banal pala!